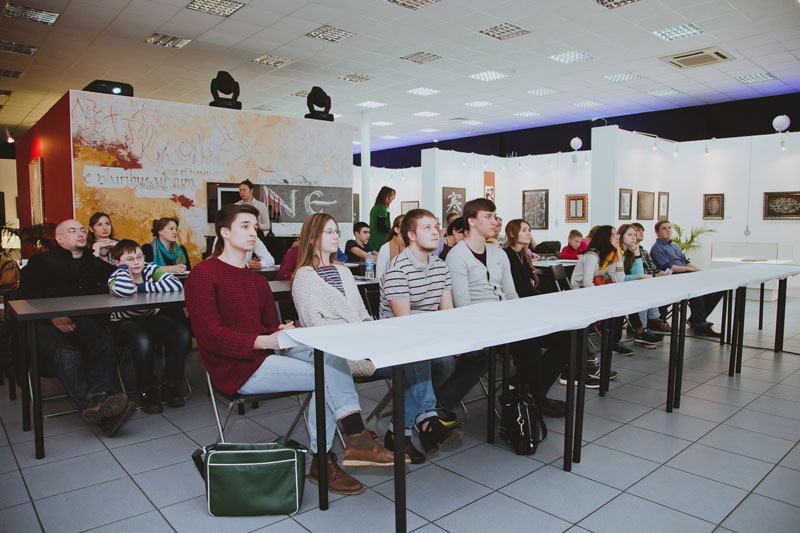 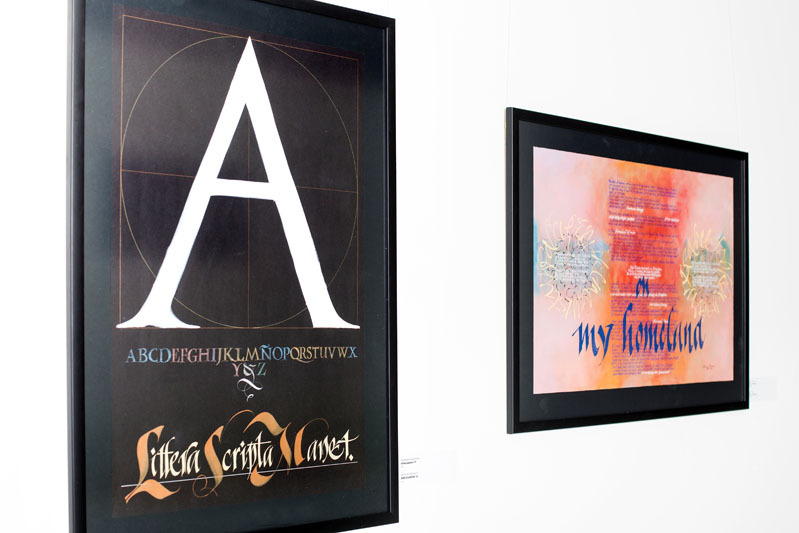 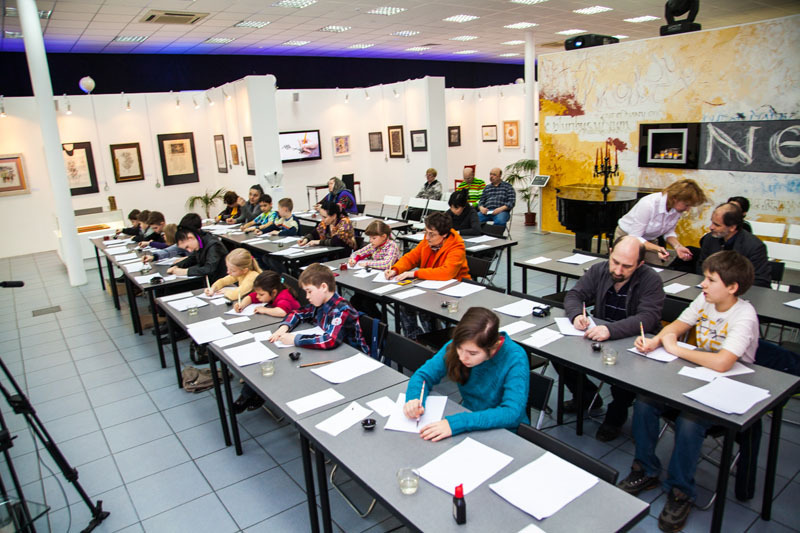 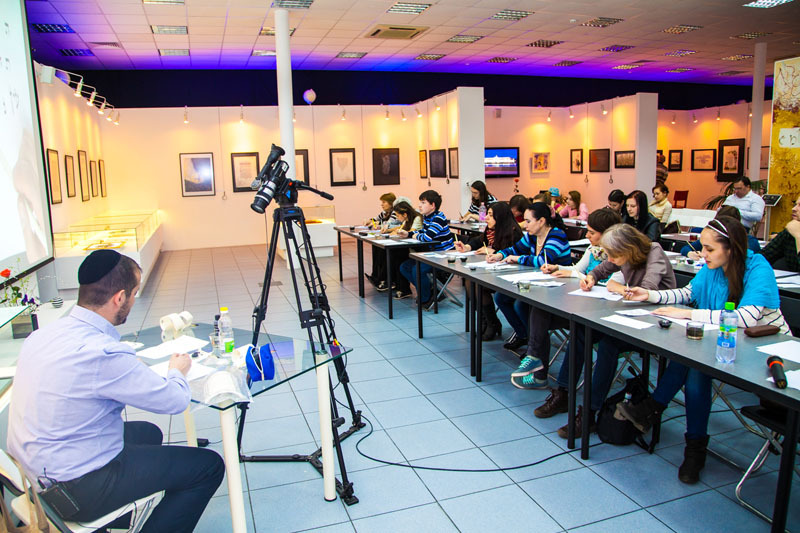 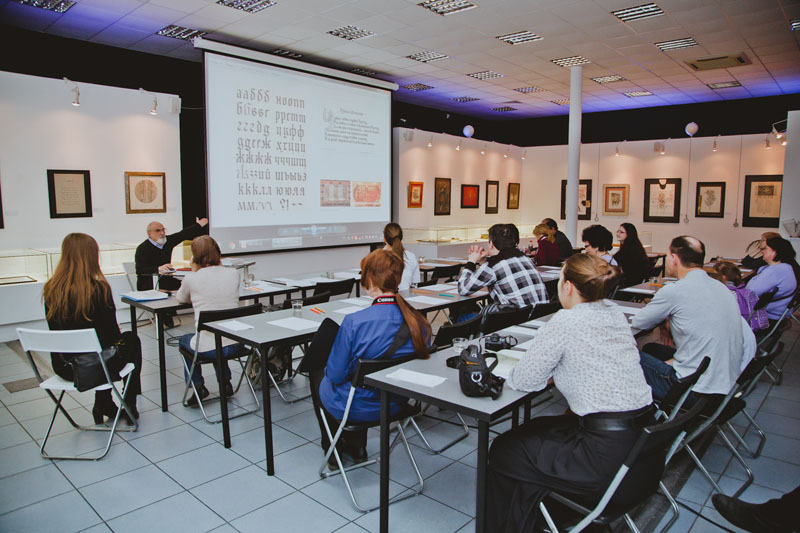 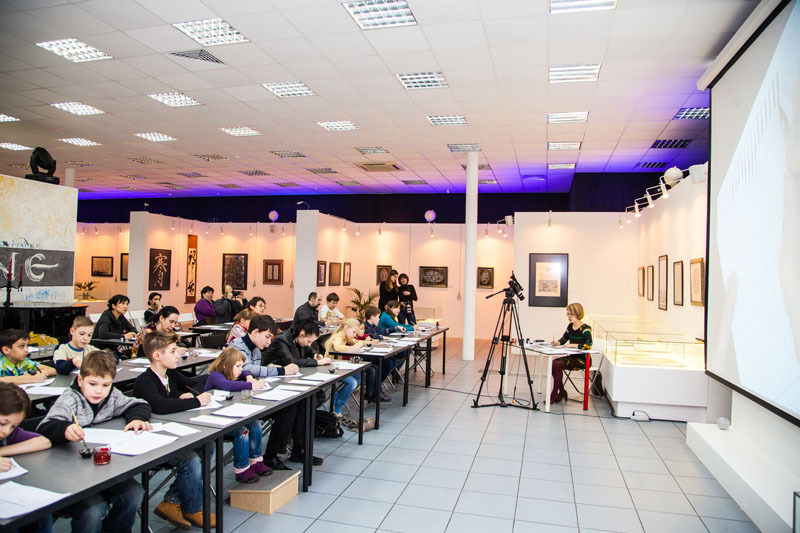 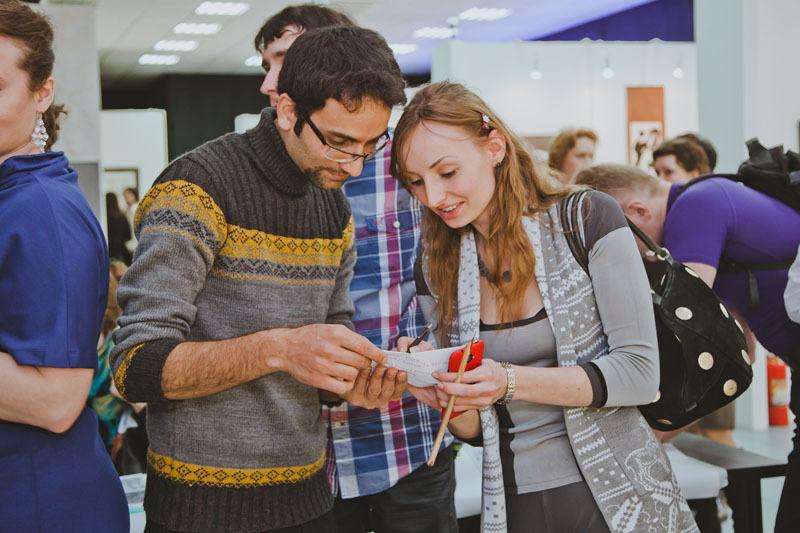 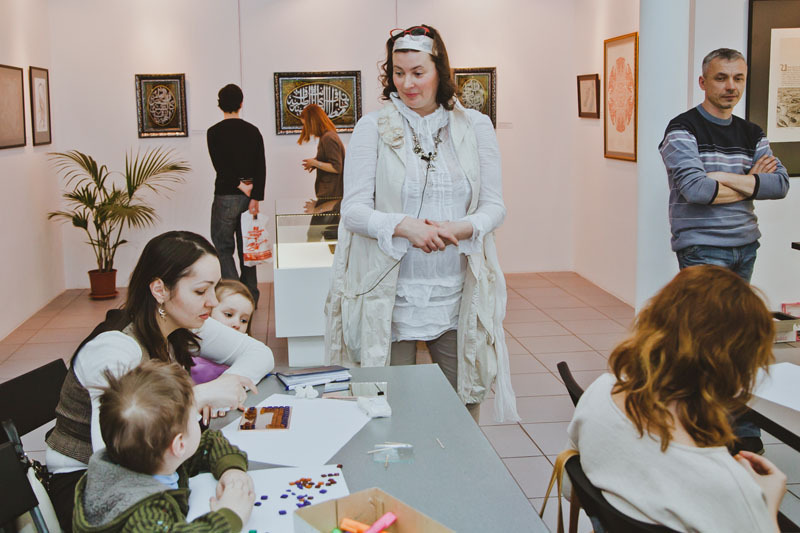 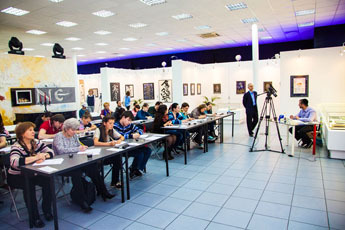 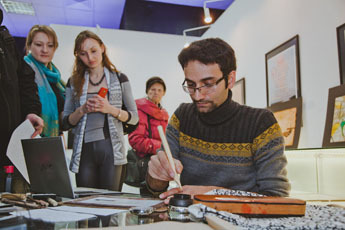 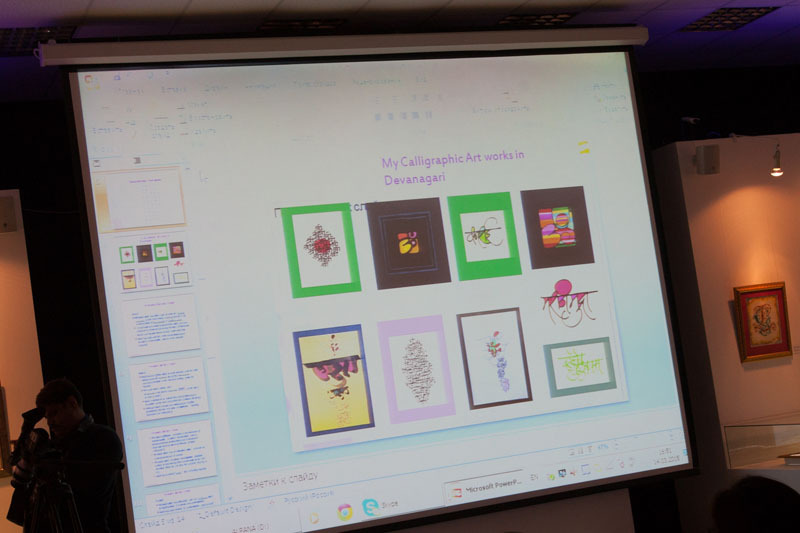 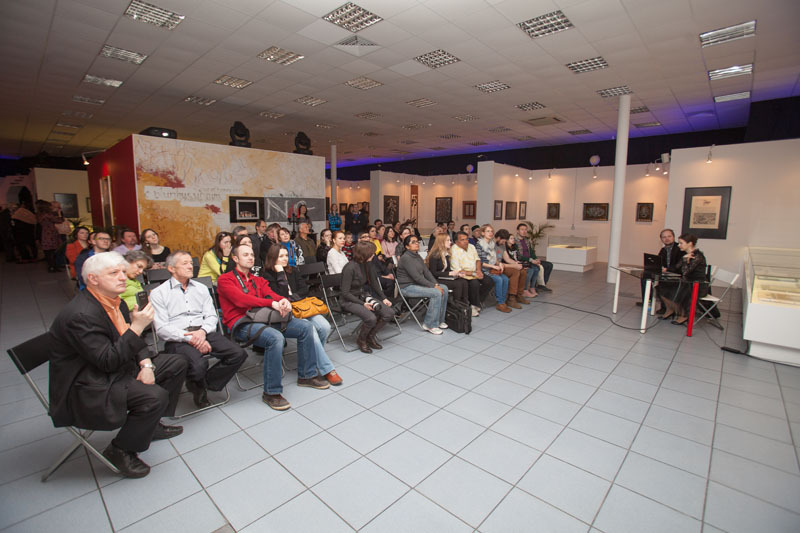 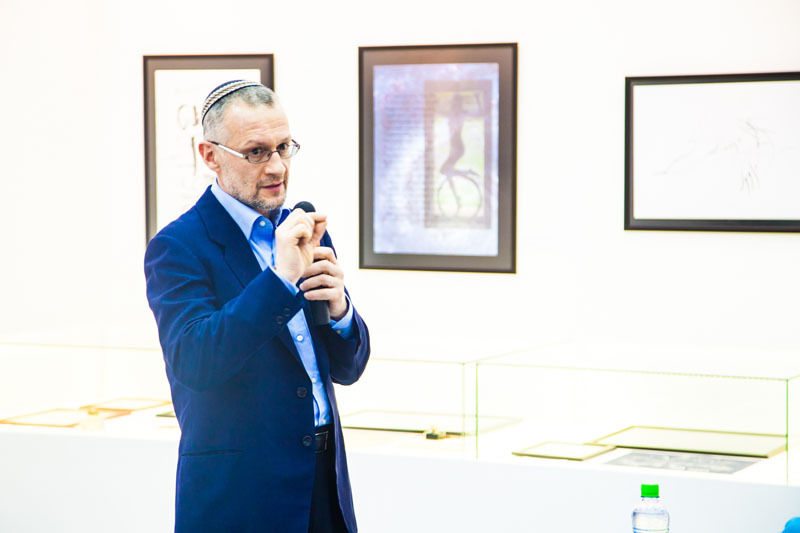 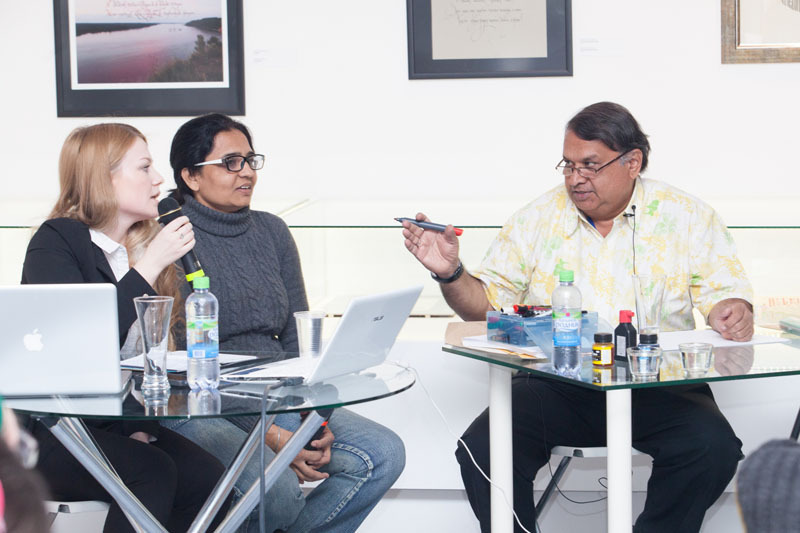 The 5th Anniversary International Exhibition of Calligraphy was held in Moscow from March 14th to April 12th, 2015. 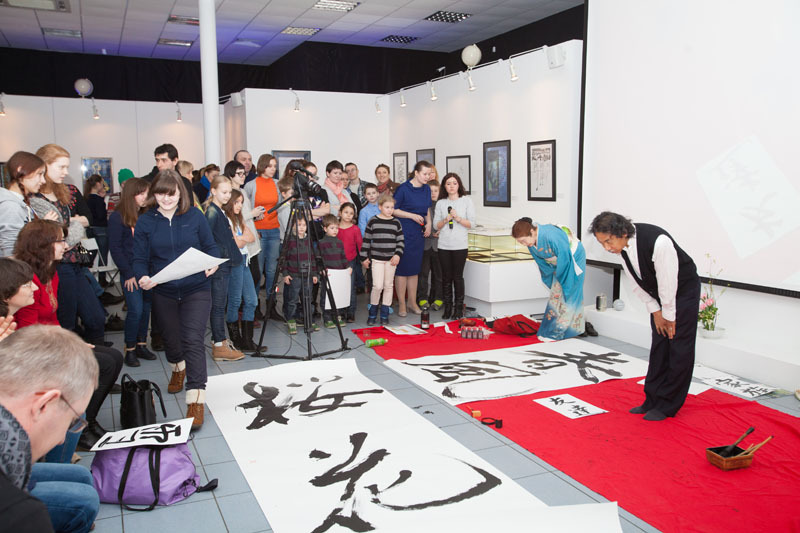 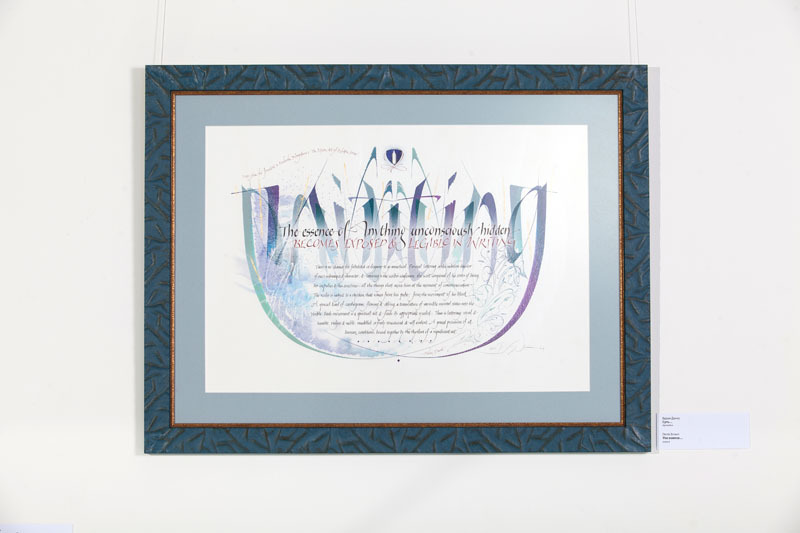 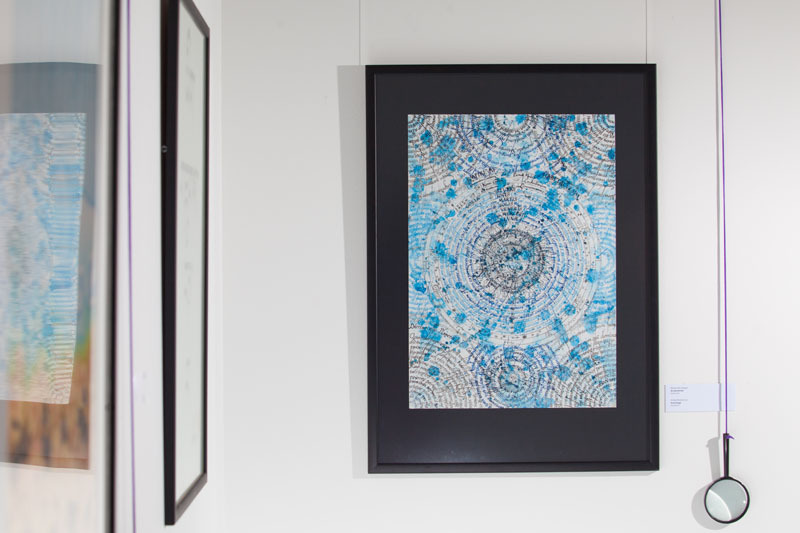 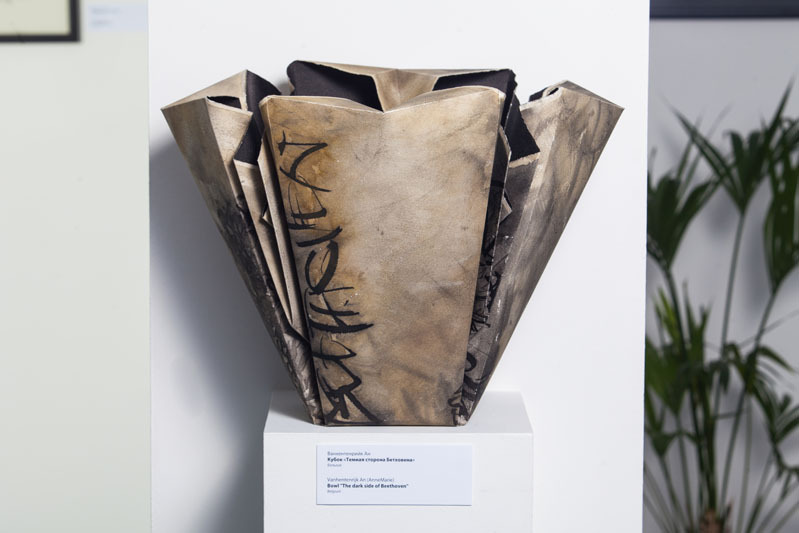 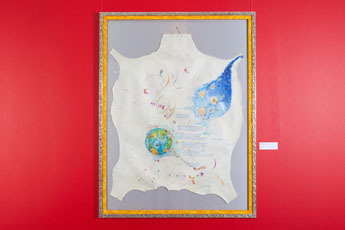 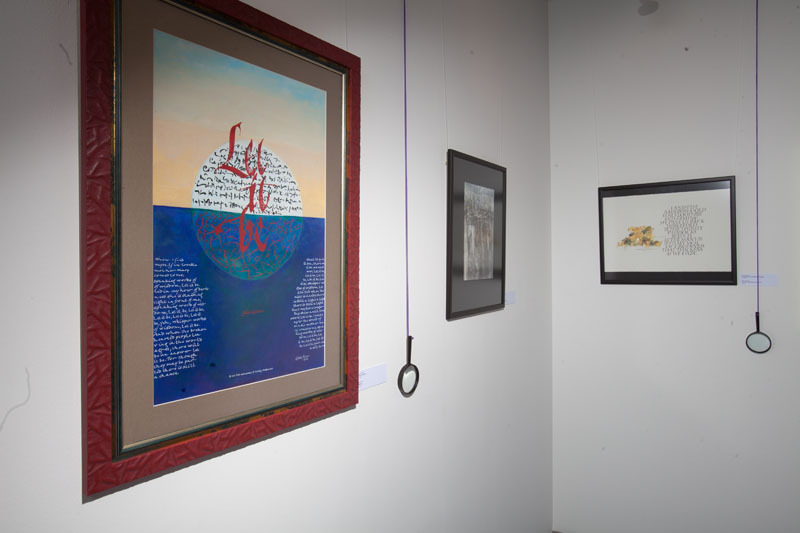 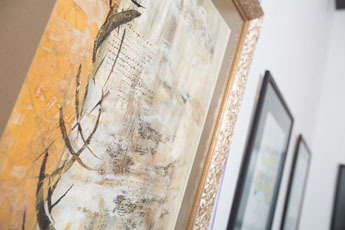 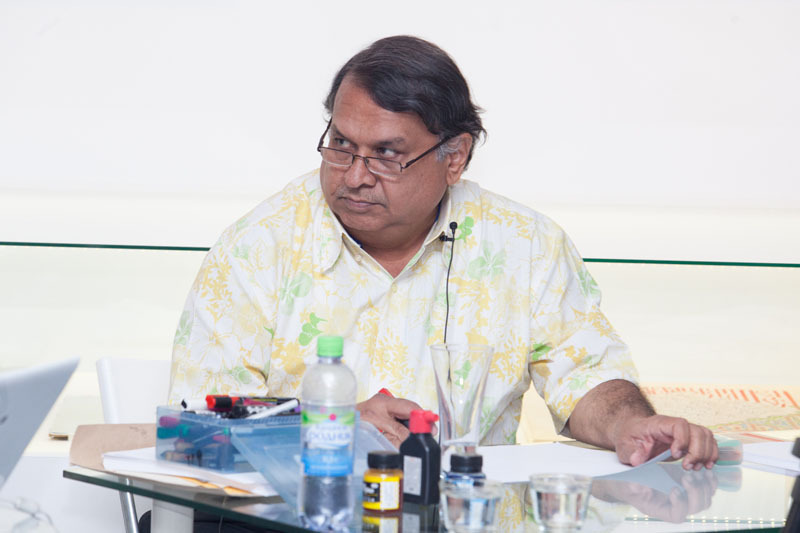 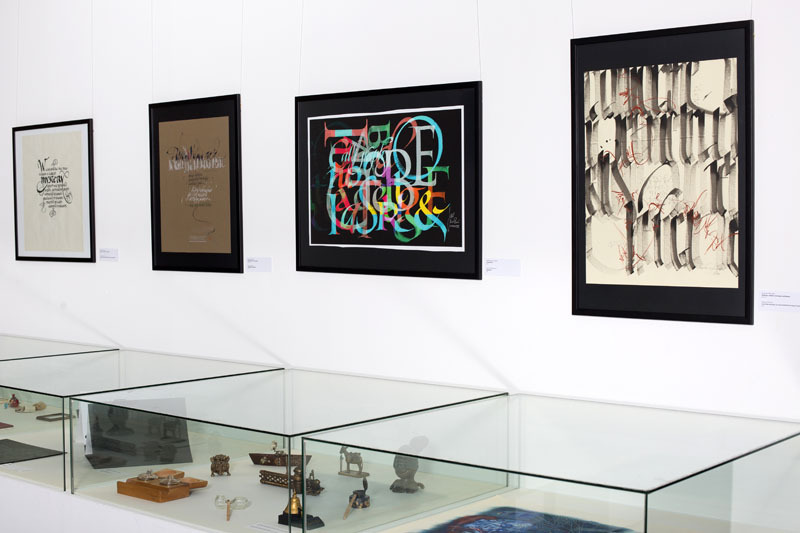 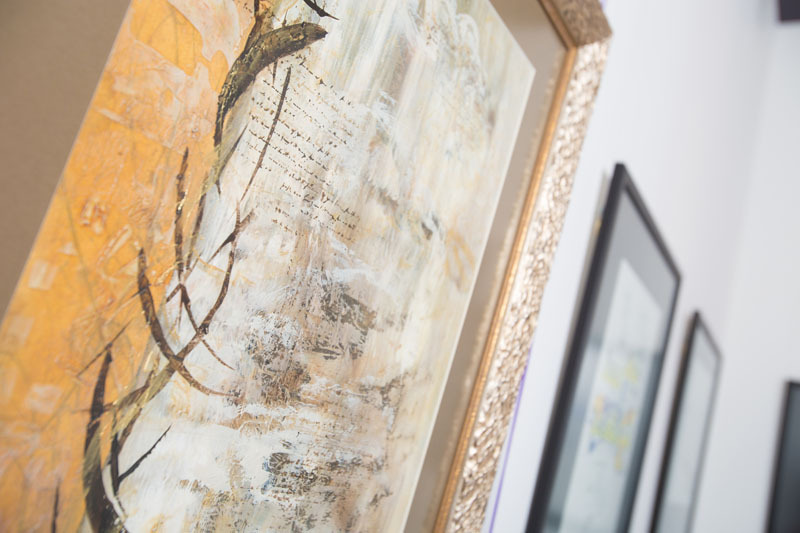 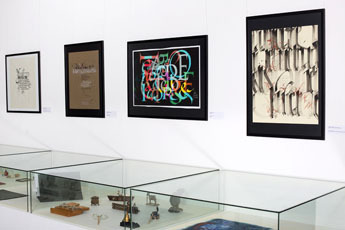 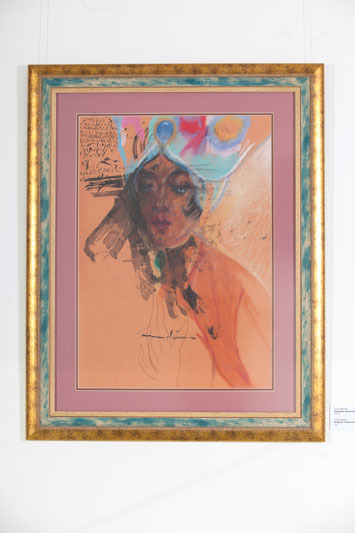 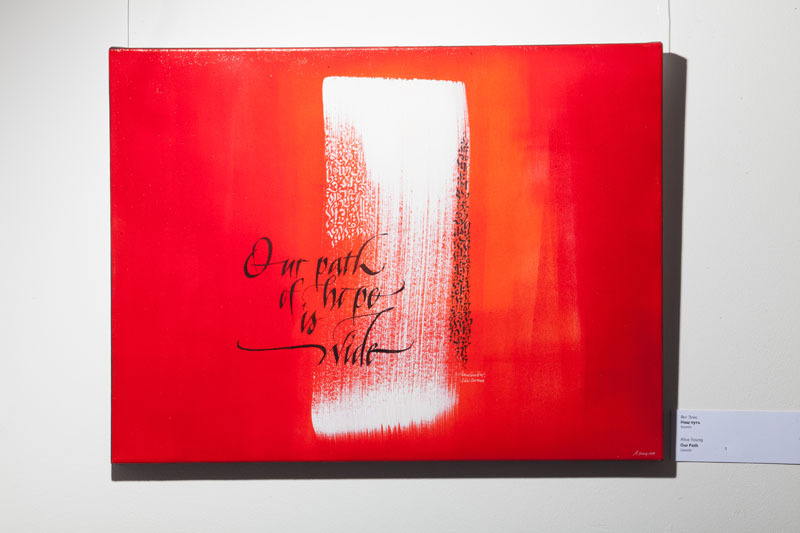 This year, the exhibition attracted a record number of 90 participants from 52 countries of the world, who presented as many as 201 calligraphy pieces at the exhibition, which were themed Reflections on the Motherland. 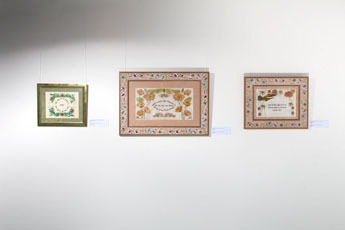 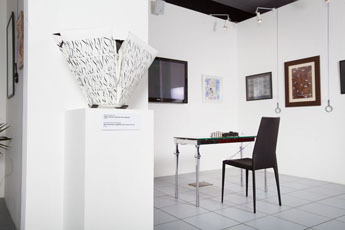 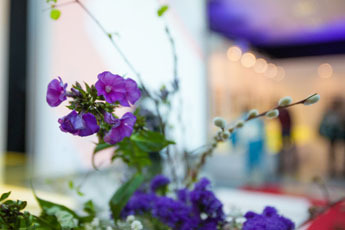 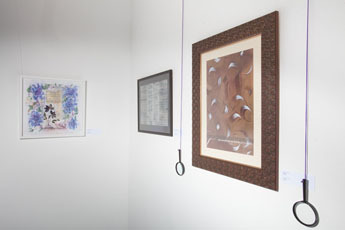 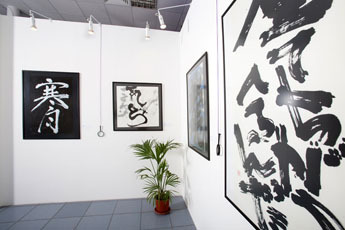 The pieces presented at the exhibition were unique in their integrity and technique. 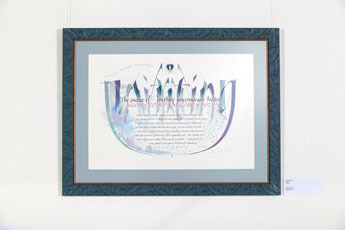 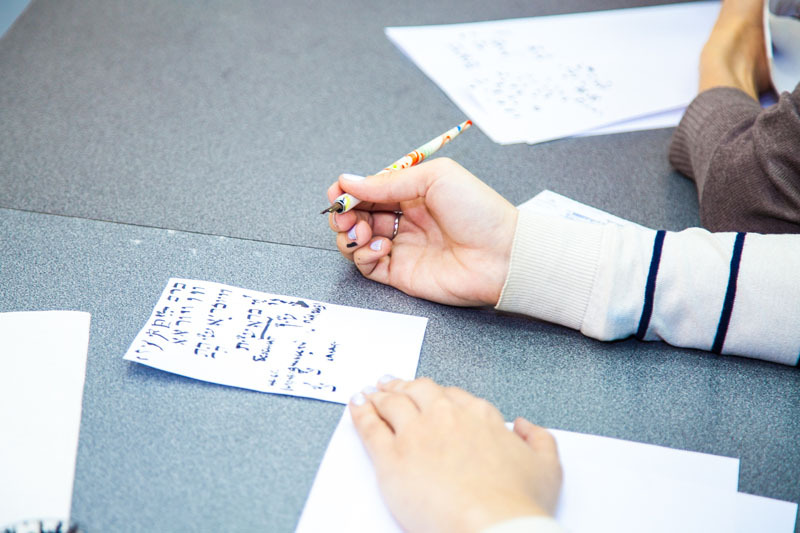 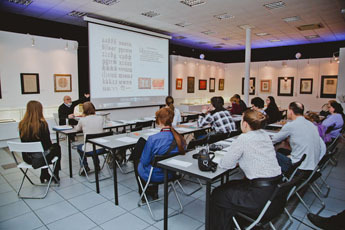 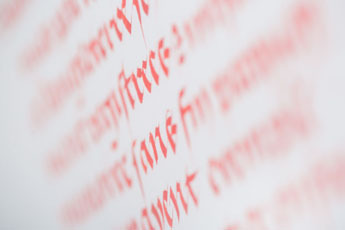 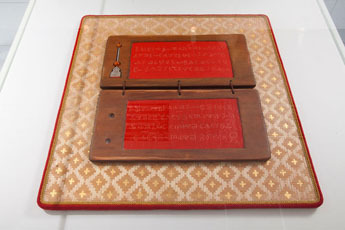 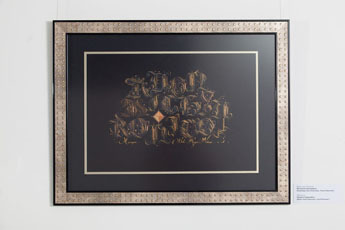 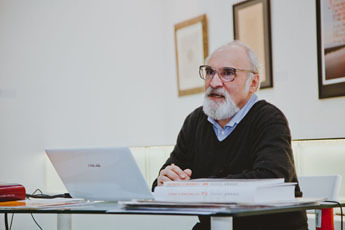 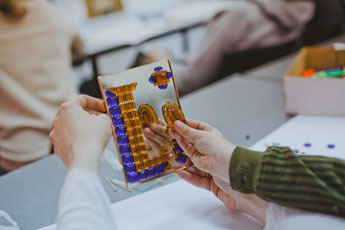 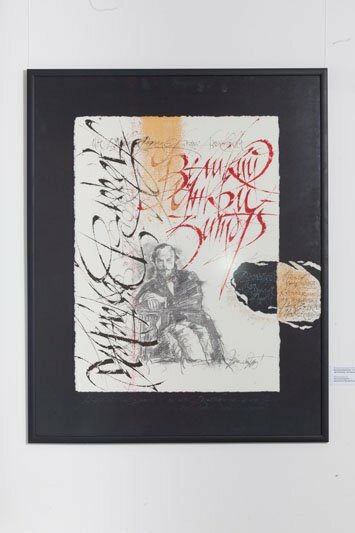 Famous calligrapher Andrei Drachenkov, for instance, displayed a piece entitled The First Translation, the Gospel of John scrabbled on wax in Gragolitic letters. 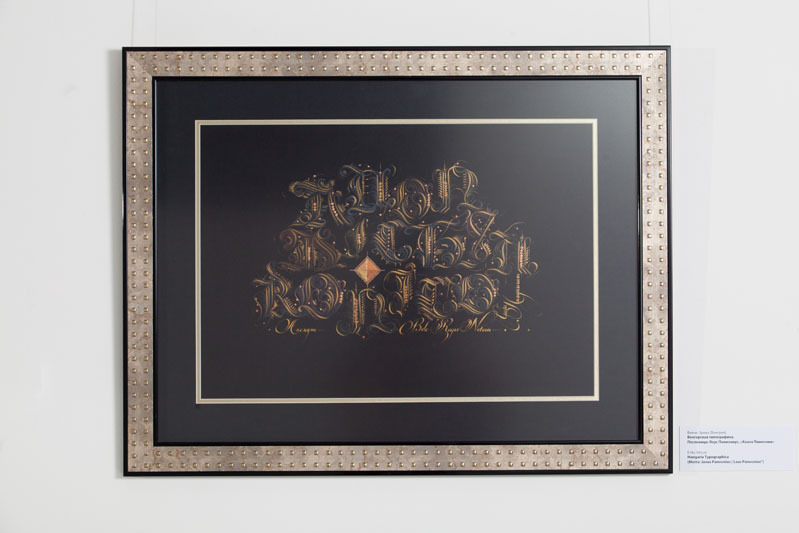 A Dutch master An Vanhentenrijk created a 3D calligraphy installation from paper. 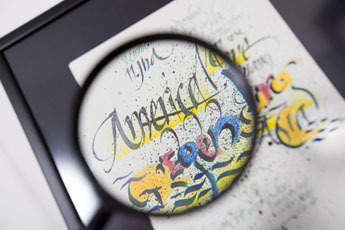 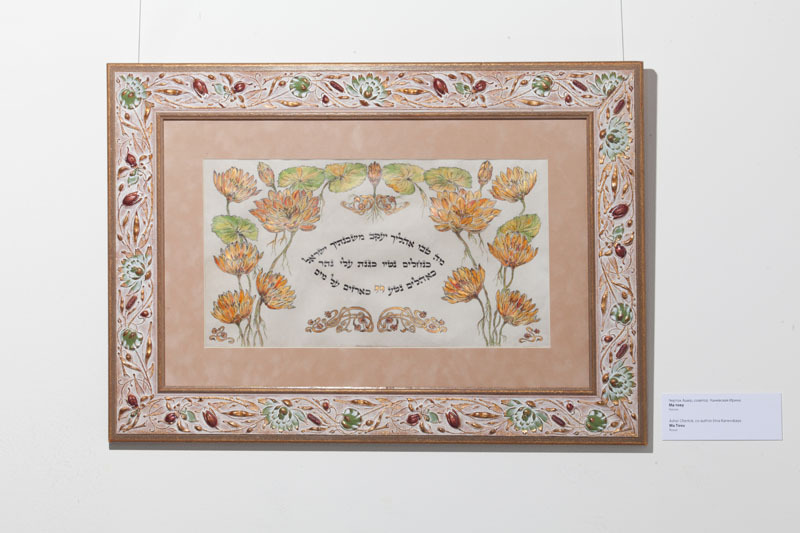 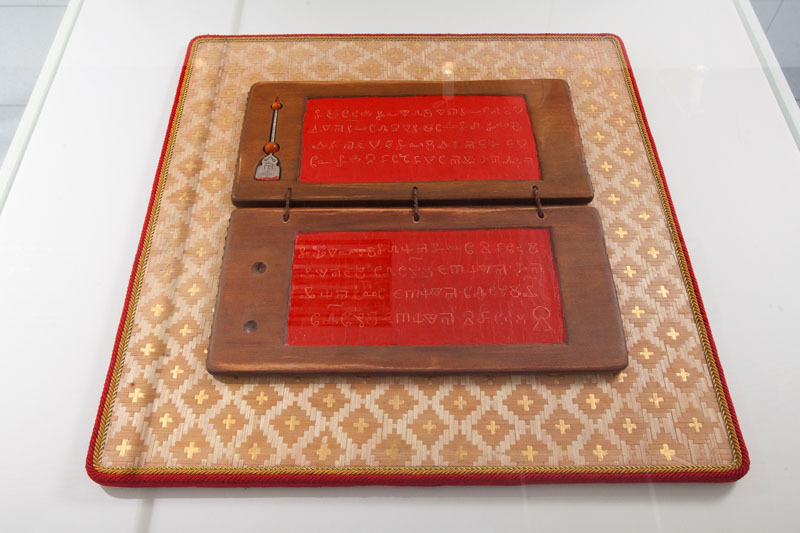 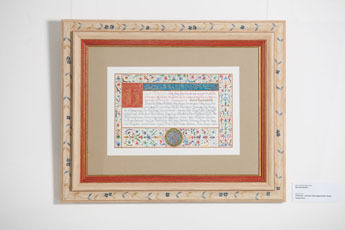 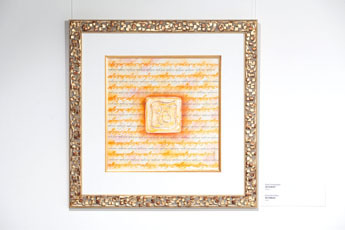 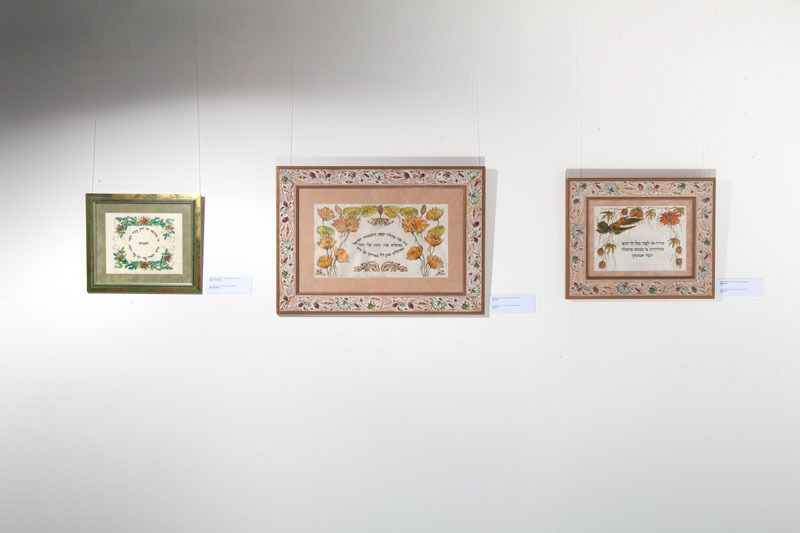 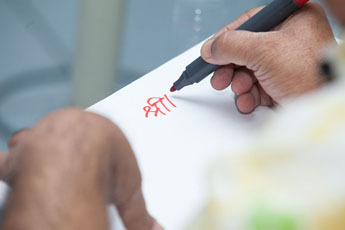 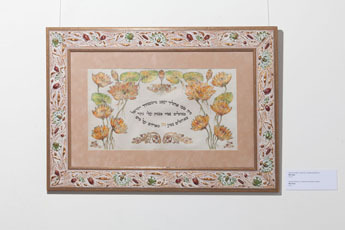 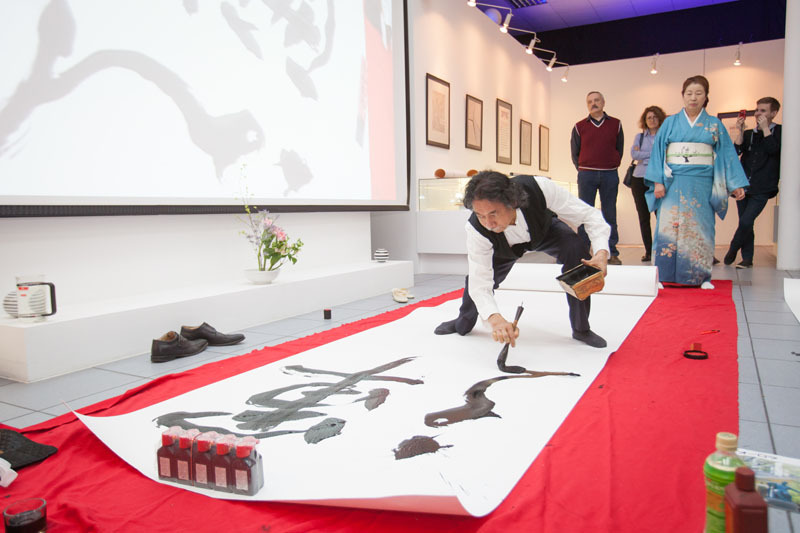 For the first time, the visitors could view the exclusive calligraphy pieces created by the masters from India, the USA, Japan, China, Peru, England, France, the Netherlands and other countries. 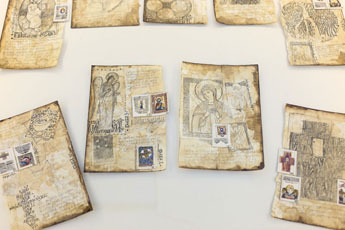 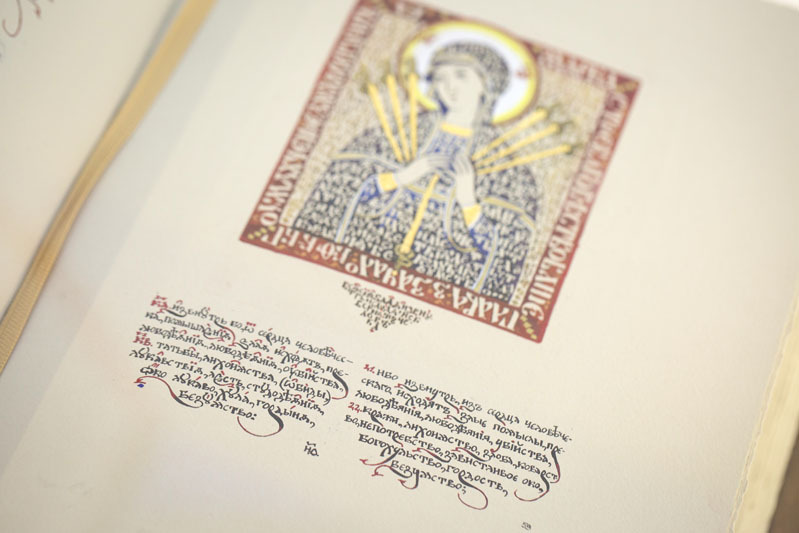 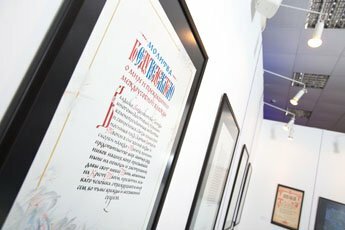 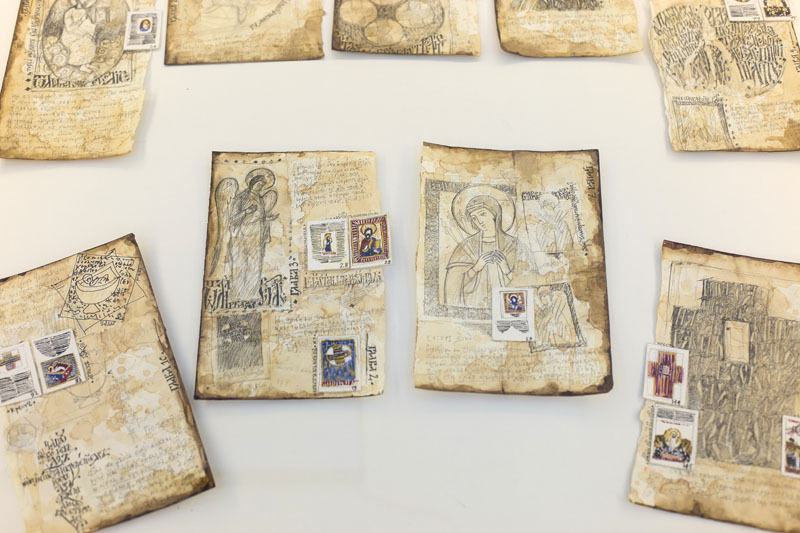 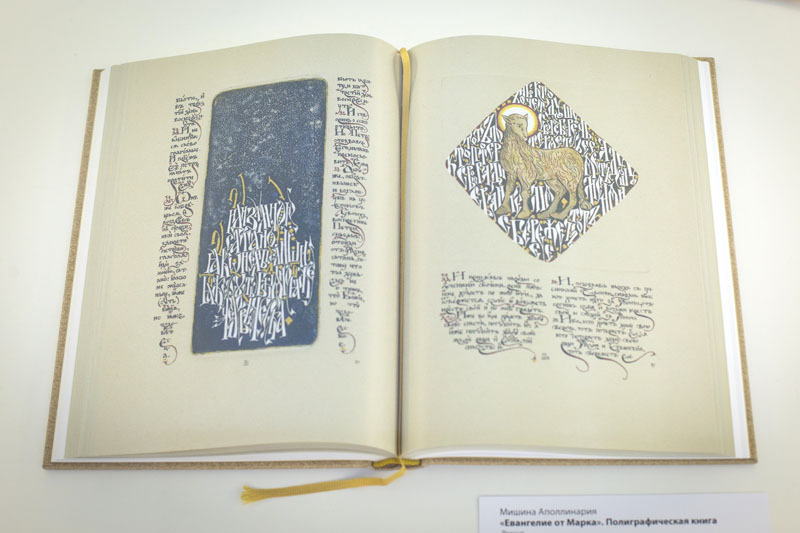 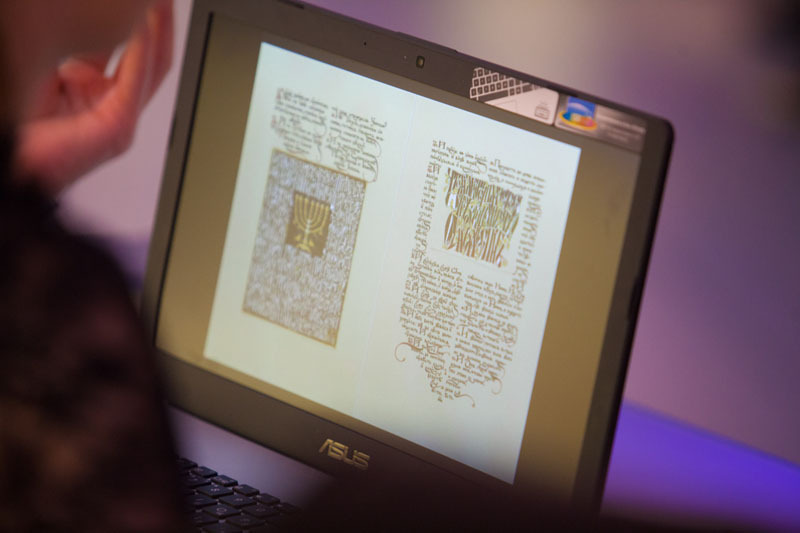 A book by Russian artist Apollinariya Mishina containing the handwritten Gospel of Mark deserves special attention. 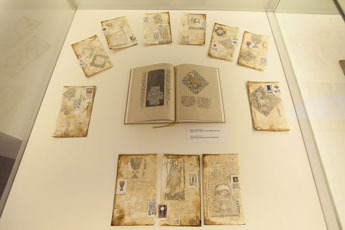 The book includes a series of illustrations on 105 pages, 104 of which are miniatures made by colour etching and illuminated with leaf gold. 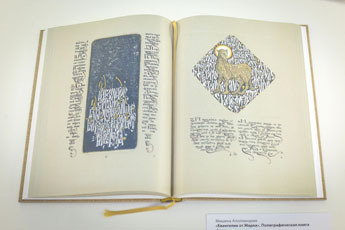 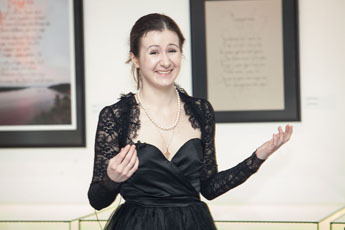 This piece has already been praised by the Russian Orthodox Church. 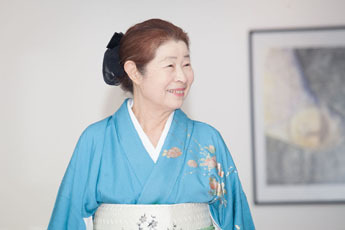 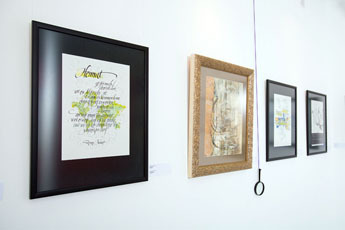 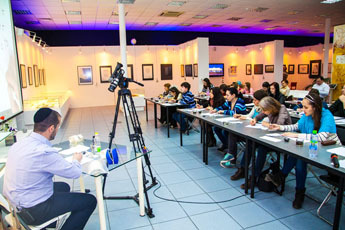 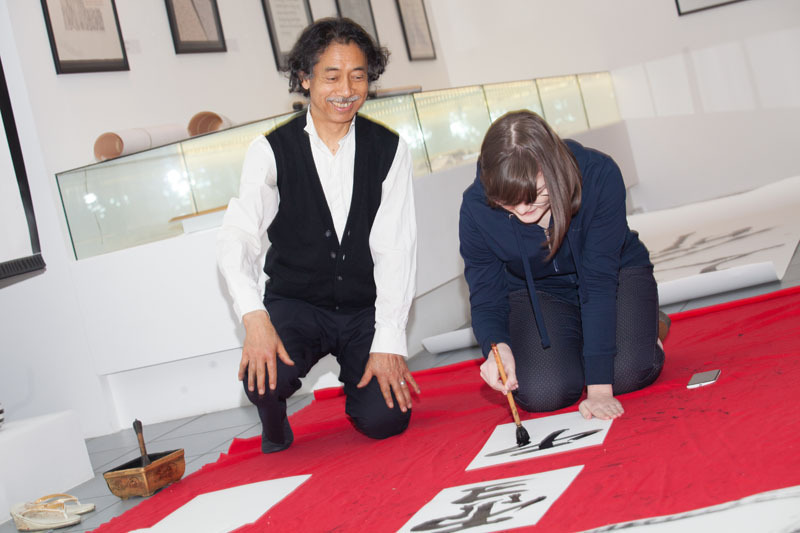 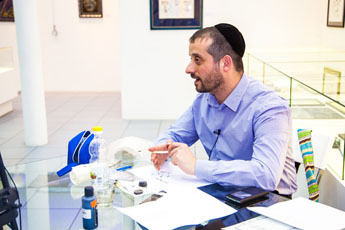 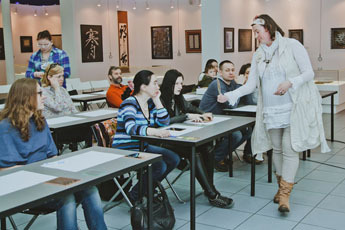 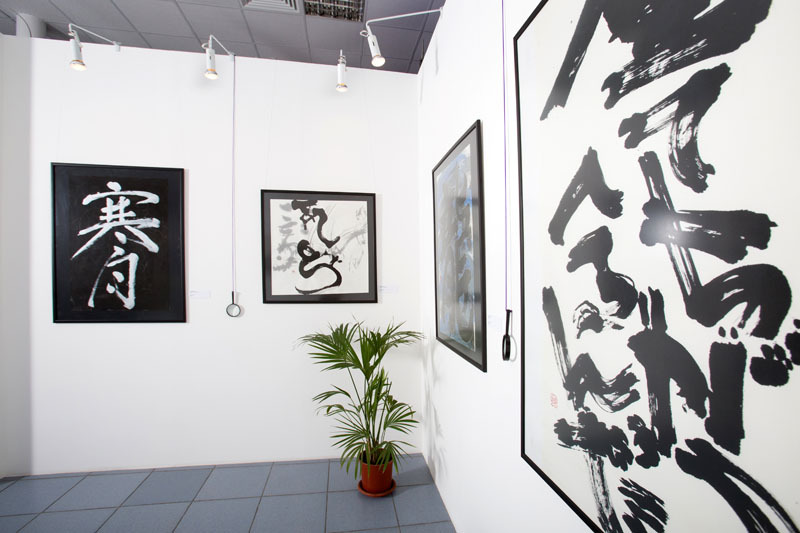 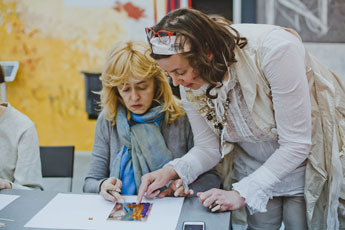 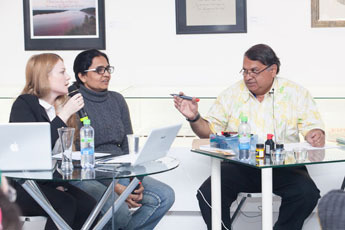 On the weekend, the exhibition hosted workshops of the prominent calligraphy masters, during which the visitors could get a glimpse of the artists creating their pieces. The master of Arabic writing Arash Shirinbad took the Cufic writing as an example to demonstrate the meaning of all the semantic symbols in a word, and the guests of the Japanese performance hosted by the renowned masters Hirose Seko and Takefusa Sasida learnt about the ancient art of ikebana and the meaning and power of the Japanese hieroglyphs. 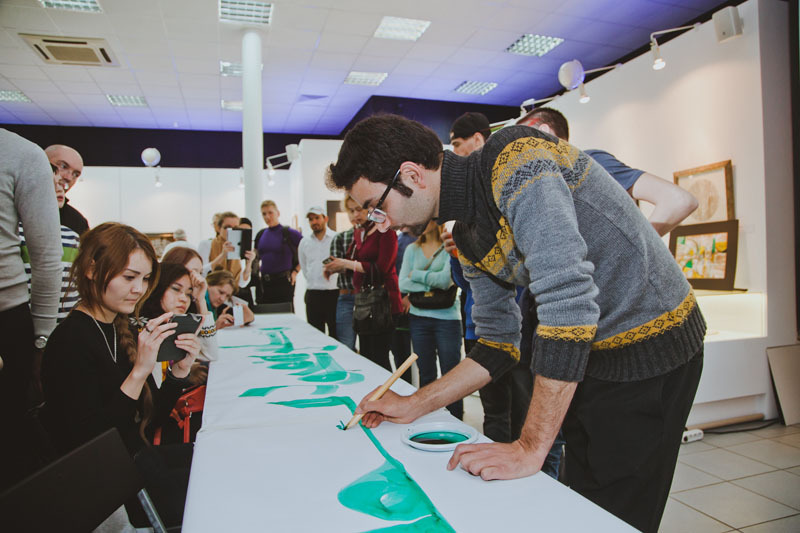 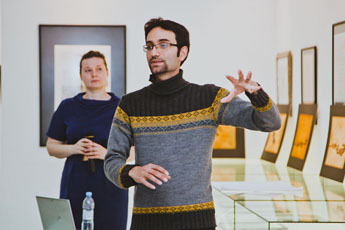 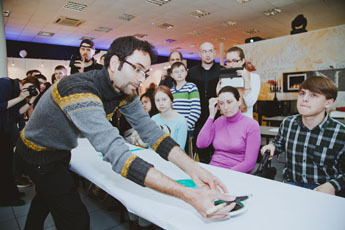 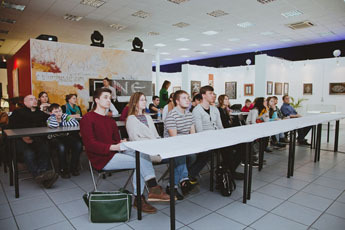 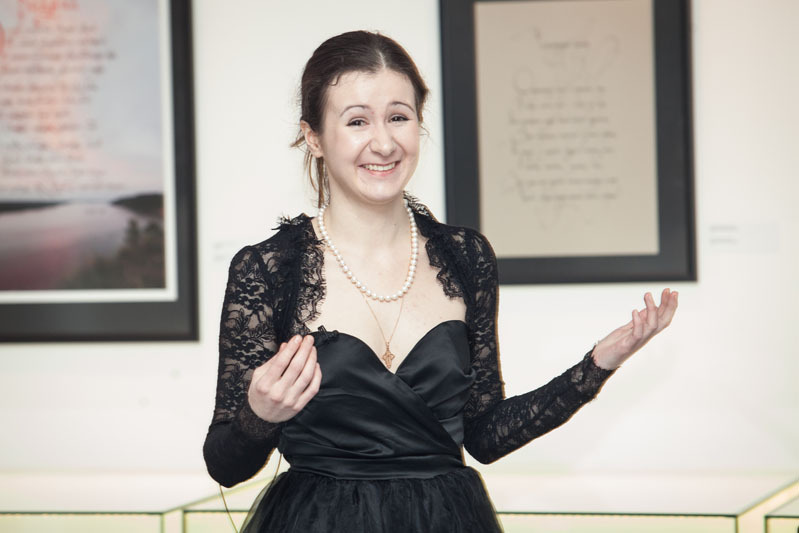 The Russian artists Apollinariya Mishina, Dmitry Petrovsky, Valery Pereskokov, Elena Nechiporenko, Dina Zhuravleva and sofers Arie Silberstein and Usher Chertok also took part in the interactive programme. 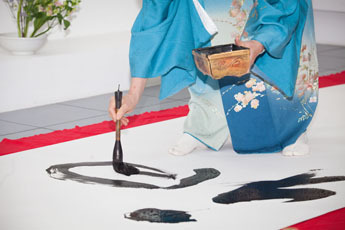 See you at the 6th International Exhibition of Calligraphy!